Tyneside-based Who tribute band The Whodlums have been performing the music of one of the world's greatest bands for almost a decade, playing to packed houses and festival crowds across the UK. The band formed in 2006 with the aim of recreating the authenticity and sound of The Who live, and the current line-up has been together since 2008 playing all the best Who songs, from early singles such as Substitute and My Generation, through to later hits such as Who Are You and You Better You Bet. In between there are selections from classic albums such as Tommy, Who’s Next, Live At Leeds and Quadrophenia, giving the audience – whether the die-hard Who fan or the casual listener – a performance to remember. 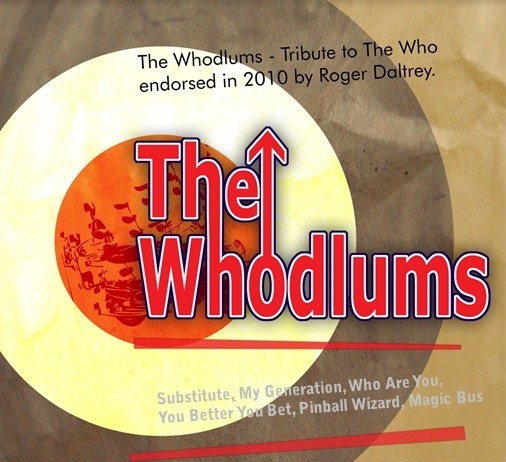 The Whodlums have the personal endorsement of Who front man Roger Daltery and for many years have been working with the Teenage Cancer Trust to help raise funds and awareness for a cause which is very close to the Who singer’s heart. This fantastic local tribute is not to be missed!